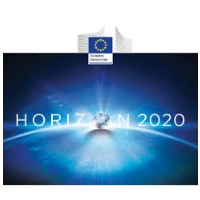 Recognising the importance of science and innovation to society, productivity and economic competitiveness, the government has today provided reassurance to UK participants of the European Union’s Horizon 2020 Programme with a commitment to safeguard funding for research and innovation projects. This statement follows the government previously reassuring researchers that the referendum result has no immediate effect on those applying to or participating in Horizon 2020. UK participants can continue to apply to the programme in the usual way. The future of UK access to European science funding will be a matter for future discussions. Government is determined to ensure that the UK continues to play a leading role in European and international research. This follows the European Commission statement that until the UK leaves the EU, EU law continues to apply to and within the UK, both when it comes to rights and obligations. This includes the eligibility of UK legal entities to participate and receive funding in Horizon 2020 actions.